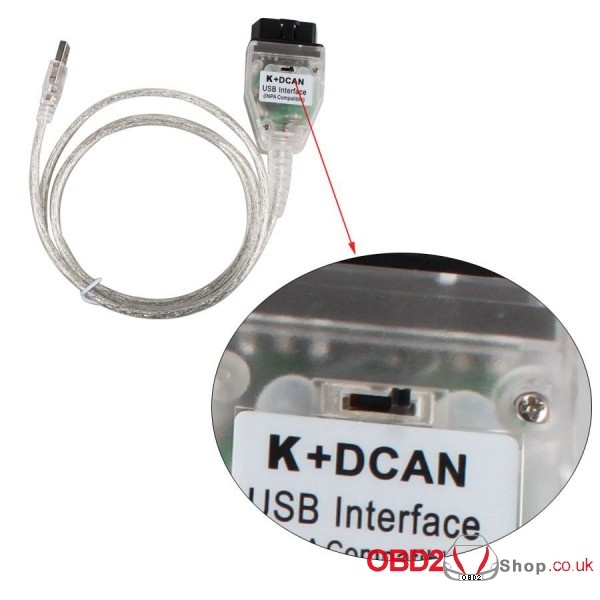 And you have your DCAN cable plugged into a usb port on the laptop? Not connected to car, device manager, ports, click on the one that shows the cable, properties, advanced, now set it to comm port 1 and latency 1, apply, ok, etc. I’m doing this from memory so it may vary but it should be close. RESULT: 5 error in error memory ! 5DB2 5DB2 – Drehzahlfuehler Impulsrad hinten links periodische Ueberwachung. 5DB6 5DB6 – Drehrichtungserkennung hinten links. 5DB3 5DB3 – Drehzahlfuehler hinten links Anfahrerkennung v_Vergleich. 5DE1 5DE1 – Bremsbelagverschleiss HA nicht/falsch initialisiert. 5DE0 5DE0 – Bremsbelagverschleiss VA nicht/falsch initialisiert. You CANNOT damage the car reading fault codes. Now if you start messing with F6: Steuern/Activations without complying with the Test Conditions (stated at top of the page) then you could do something unintended, but we are NOT changing code in the Module being read, so just translate and get the concept of what you are actually reading. Once again, reading codes or Freeze Frame Data, or even using F5 (Status/Parameters), you are JUST reading data or Live Data. BTW, Fehlerspeicher Loschen means CLEAR Fault Memory (Codes), and make sure engine is OFF (ignition ON) when you do that. 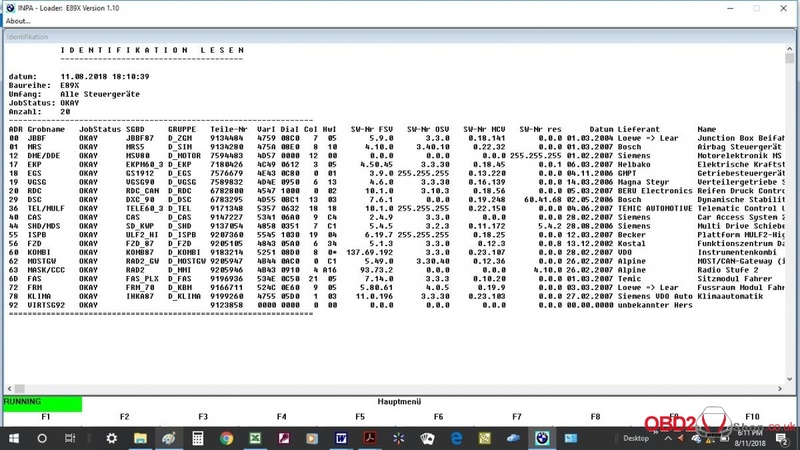 I would suggest clearing all 5 codes (since you have saved them in the pdf, along with the Freeze Frame Data). The first three should NOT recur, but the 2nd two may unless you properly “initialize” the pad wear sensors (if they were in fact replaced). Those first Three (3) codes say you HAD a problem with the Left Rear (Hinten Links) wheel speed sensor, both in reading speed and direction of rotation, but neither fault is NOW present, and the fault WOULD light a warning lamp if present. The last Two (2) codes say BOTH your Rear and Front pad wear sensors are NOT initialized or are incorrectly initialized. THOSE two faults ARE present, but would NOT light a warning lamp. 5DB2: drehzahlfuehler impulsrad hinten links periodische ueberwachung = speed sensor impulse wheel rear left periodic monitoring; Fault NOT currently present; Error would cause a warning light to come on; fault occurred at 141528 km = 87,941 Mi. 5DB6: Drehrichtungserkennung hinten links = Direction of rotation detection, rear left; NOT present; Would Light; fault occurred at 141536 km = 87,946 Mi. 5DE1: Bremsbelagverschleiss HA nicht/falsch initialisiert = Brake pad wear HA not / incorrectly initialized; Present; NOT light; fault occurred at 136104 km = 84,571 Mi. BTW2: You can read Live Data of wheel speed and rotation, EACH of the 4 sensors, in F5 | F1 | F1 (Status/Wheel Speed) in bar graph form with actual speed numbers appearing. Ill go ahead and clear the codes. Ill do some reading to figure out the brake pad sensors. I inspected the pads and they appear to be better than half . So your saying I do not have to uninstall and reinstall windows as it states? That part intimidates me a bit. My laptop can preinstalled with windows 10 and I am not sure where the key is. I’m NOT sure WHERE the initialization or reset is for the (1) brake pad condition or (2) wear sensors in INPA, but you should be able to do those functions WITHOUT INPA, simply following the procedure described in the Owner’s Manual under CBS (Condition Based Service). 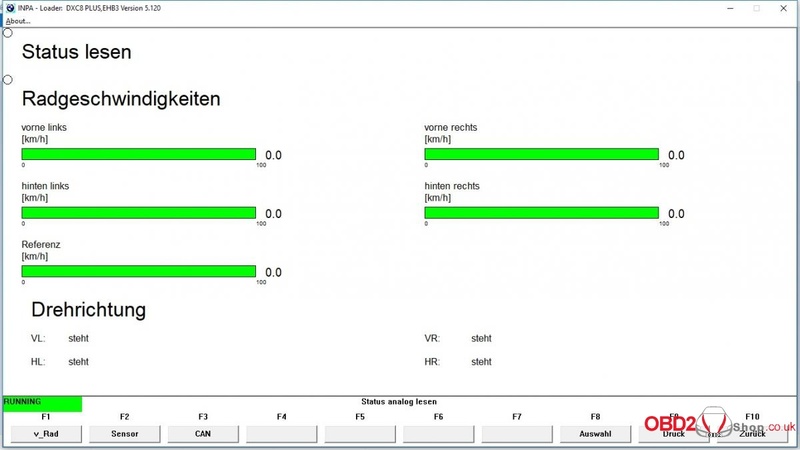 There IS a “CBS” screen in INPA (attached — for my X-drive model which may differ from your screen) which shows the calculated Brake Pad Availability or Amount Remaining in % bar graph format: F5 | F4 (Status/CBS). 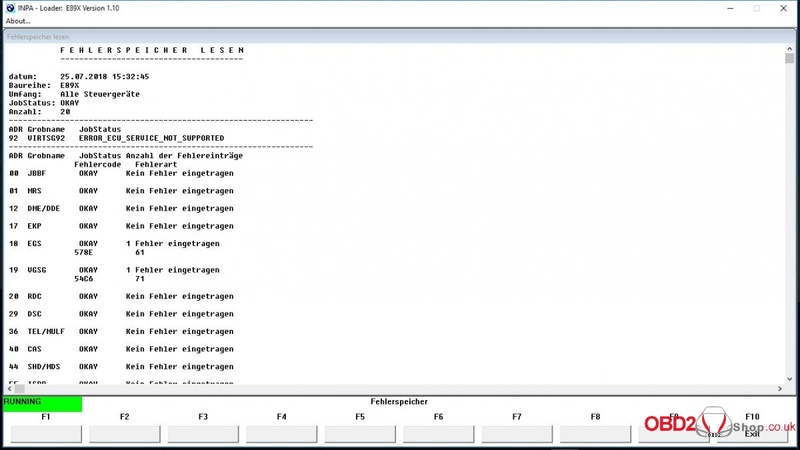 As stated earlier, there is ALSO a screen that shows Live Data related to the Wheel Speed Sensors, “Radgeschwindikeiten” or Wheel Speeds, F5 | F1 | F1, and I also attach a copy of my 328xi screen (different DSC Module). Some quick & easy German to learn here: Vorne=Front; Hinten=Rear; Links=Left; Rechts=Right; Drehrichtung = Rotation Direction; Abbreviations: VL=Front Left, etc. are based on German words. You can get a LOT of incorrect information on the Web. You appear to have the cable and INPA working correctly to be able to get the Fault Memory and Freeze Frame Data you posted. WHAT ISSUES are you still having? 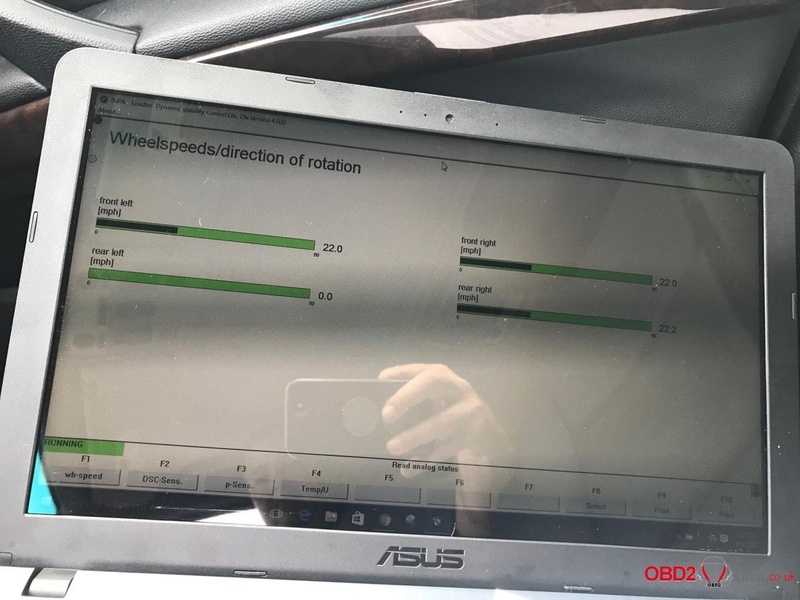 Can you connect to the DSC Module and read both screens identified above (CBS & Wheel Speeds)? I would suggest don’t change a thing until you identify a particular issue you are having and get some specific advice related to that issue (if any). If you have NOT already done so, I would suggest getting familiar with “Functional Jobs,” particularly F2 Identification (lists all modules in the vehicle with their identifying numbers, Supplier/Lieferant name, etc.) AND F4 | F1 Fehlerspeicher Lesen (Fault Memory — ALL Modules). 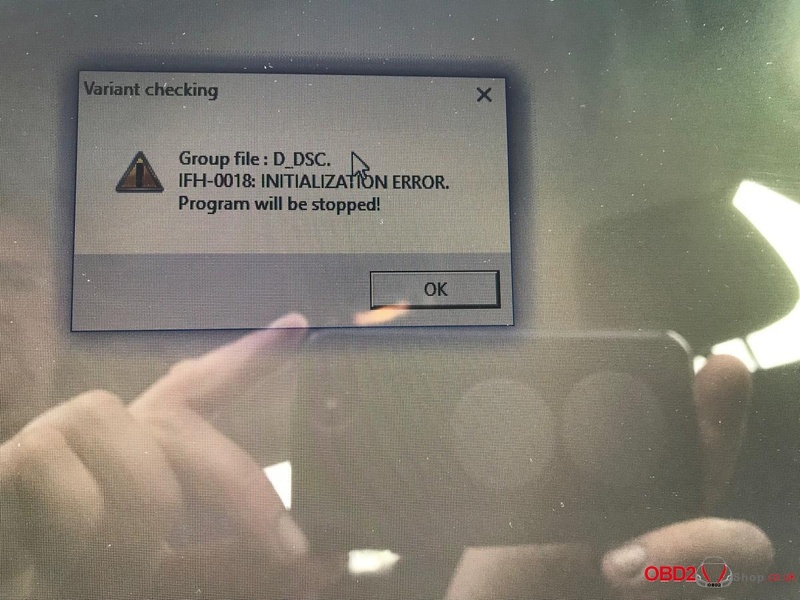 You CANNOT get Details such as Freeze Frame Data, or even Fault Definition in this screen, but it gives you, in 2 minutes or less, ALL fault codes in ALL Modules in the vehicle, so you can then connect to a particular Module that shows a fault and GET the specifics, as well as do further diagnostics using F5 Status, or F6 Activations. I attach screenprints of BOTH of those screens from my 328xi. I would suggest trying to connect to those two screens, and saving those two screens for further evaluation to learn the wealth of information that INPA provides. Let us know if you have any issues connecting to ANY of the 4 screens mentioned above. ANYONE know of screen(s) in INPA which (1) test front & rear pad wear sensors, OR (2) Provide for “Initialization” or Reset of either the pad wear sensors or brake pad thickness estimate (CBS)? I cleared the codes and then watched the live action as I drove. The left rear at first was completely dead (see picture) then it started acting erratic and alarms sounded thru the radio when the ABS light came back on. It was a little scary not knowing what the car would do next. Anyway two codes came back – Wheel speed and direction of rotation both on the left rear. I have that sensor on order as I had inspected it last night and saw it was chewed up. the only other issue the car shows it the red brake light is on. I will wait til I get the new speed sensor in and cleared to see if it remains. This is on my 07-328i. The 06 325i from my other not starting thread is running fine with no lights on now. As stated before, the Functional Jobs ALL MODULES Scan simply identifies modules which have Faults, how many Faults in any module, and what the Fault Codes are. You then have to go to each Module, such as 00 JBBF (JBE), and select the Fehlerspeicher (Fault Memory) Menu (F4) and then select InfoSpeicher Lesen (Read Info Memory) to get details. You then can see (1) Fault Definition AND the most detail available about the (2) mileage and other conditions present when the Fault occurred, as well as (3) whether the fault is now present or [NOT = NICHT], (Fehler Momentan [NICHT] Vorhanden), and (4) whether the fault would [NOT = KEIN] light a warning lamp (fehler wurde [kein] aufleuchten einer warnlampe verursachen). Those two Fault Conditons, (3) and (4), are important to know, and the same wording appears in the Info/Details for each fault, so I would suggest creating a reference list for such important and recurring German phrases, so you don’t need to go to Google Translate each time. DO use Google Translate for Fault Definitions that appear in German. Once you have learned the basics of how INPA works, and once you have saved and cleared all fault codes in all modules, the translation issues become much more manageable. It appears your JBE fault is a problem with the AUC circuit (Air Quality Sensor) circuit, that affects use of outside air by the climate control. The AUC, Refrigerant Pressure sensor, Heater Valve and Compressor Valve are all wired to the JBE, even though controlled by the Climate Control (KLIMA) Module. Your transmission (EGS) code is probably related to the DSC Left Rear Wheel Speed Sensor issues, and of course you know what the two recurring DSC codes are. The TEL/MULF and MOST Faults may be transient communication issues that are NOT now present. Unless there is an actual performance fault in the radio, etc., I would suggest simply saving the screen that shows Fault Details (Infospeicher Lesen, etc.) and clearing the codes to see if they return, rather than chasing something that is NOT now present or affecting function of any system (that you can see/determine). Please share what you learn about INPA, as few people on this forum seem to understand what a great diagnostic tool it is. Taking the time to translate from German can actually help you become more focused and less “fuzzy” in your concepts about how a system works. I also took the time to save each screen in F5 (Status), for each module, and to translate the important ones so that I understood what diagnostics were available for each module. Also, in F6 (Activations/Steurn), many screens have Status or Parameters, such as Fan Speed, Pump Speed, Temperature readouts, etc., often in bar-graph format. 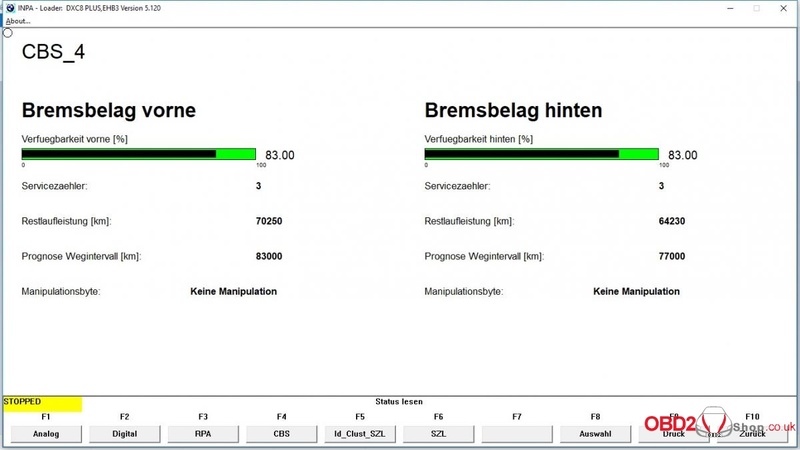 BEFORE using Activations (other than simply opening a screen you can select in the F6 Menu), MAKE SURE you have translated and understood the Test or Driving Conditions (ansteuerbedingung) set out at the top of the page, which indicate such test conditions as Engine Off (RPM/Drehzahl = 0), System Voltage (Batteriespannung) >10V, Klemme 15 Ein (Ignition ON). I have tried to do an Outline of INPA, with summary of what diagnostics are available on each screen for each module, and also trying to identify what tests, Activations, etc. are available for primary components such as Radiator Fan, Coolant Pump, Alternator, Fuel Pump, and even A/C system pressure, Evaporator Temp, Blend Flap Positions, etc. Fault Codes are just the starting point in a powerful diagnostic program. Thanks to Laurance who collect this info to help more users.